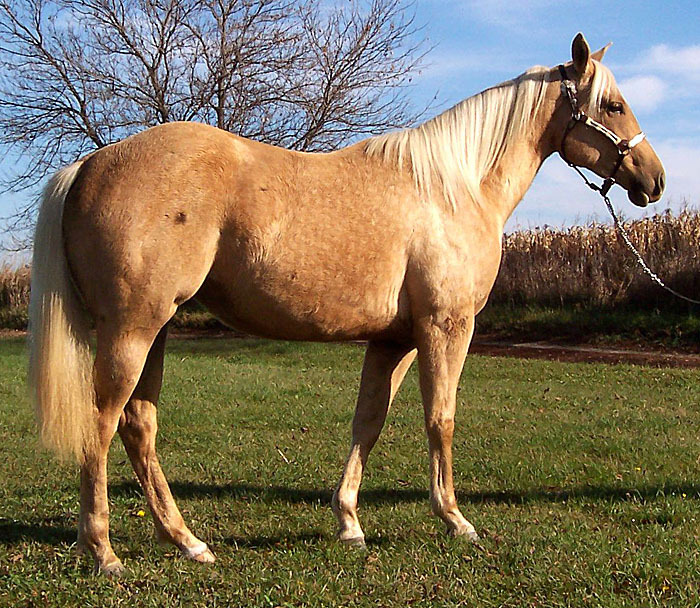 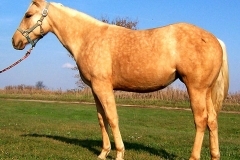 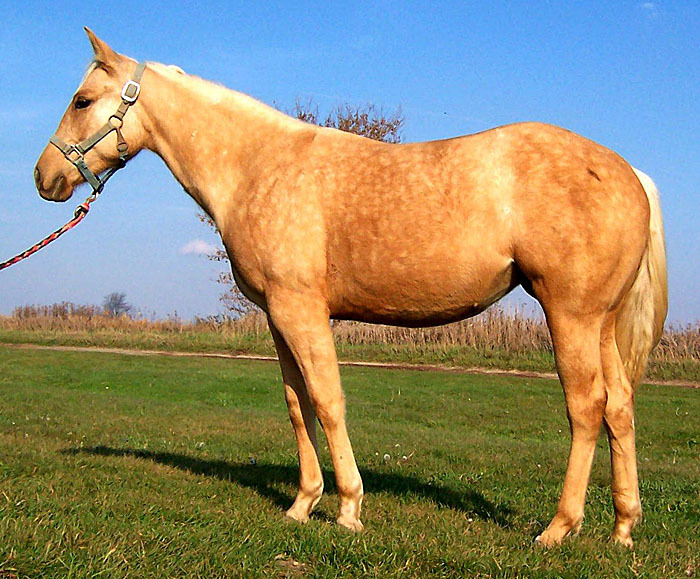 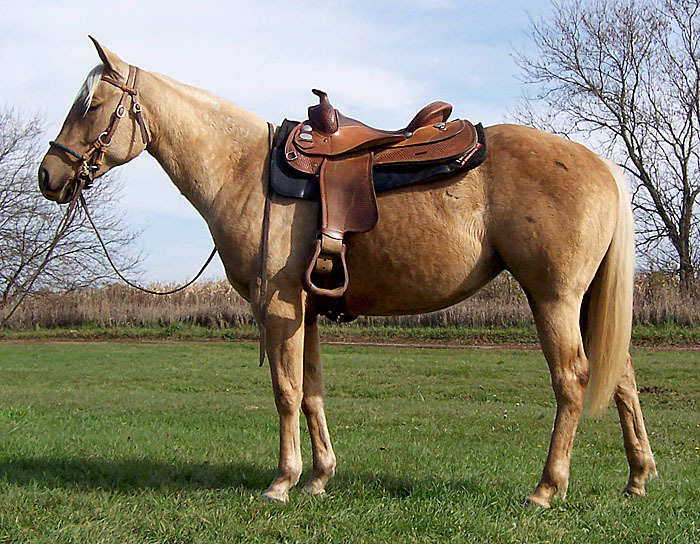 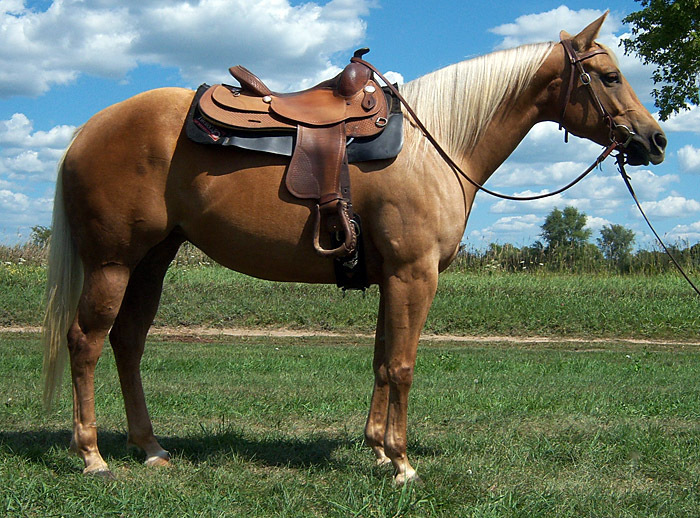 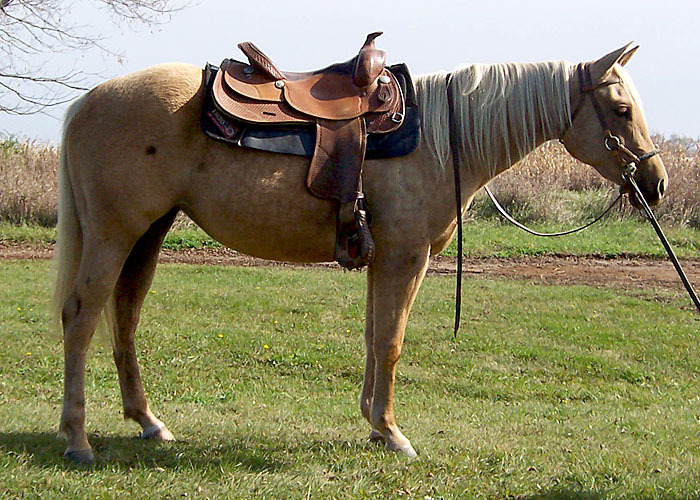 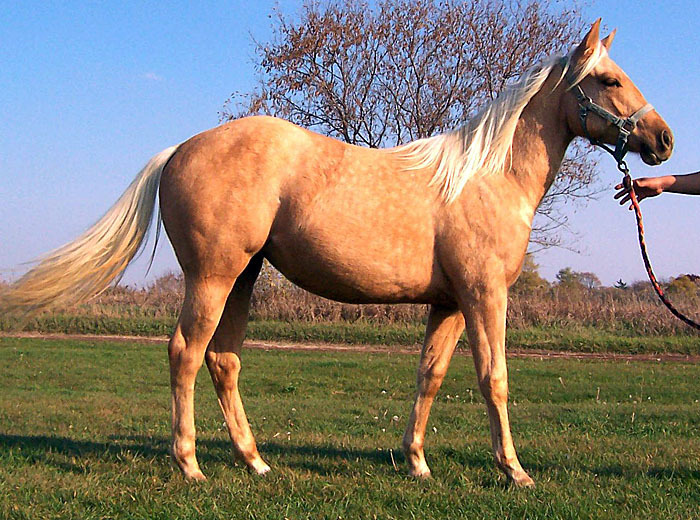 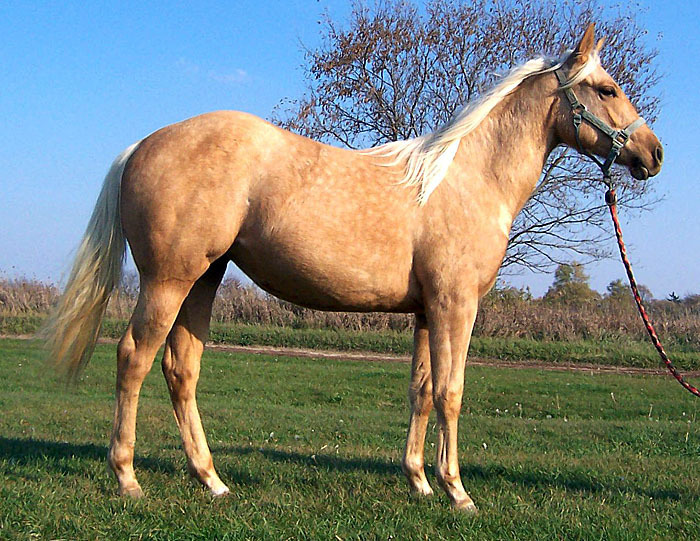 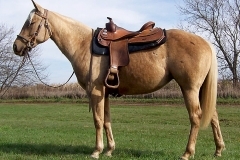 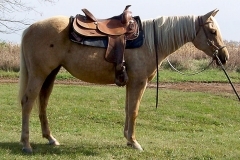 Rosa is a 14.3 hand, 11 year old palomino mare by TAMU Solid Oak by Docs Oak, out of a double bred Big Step mare. 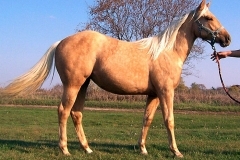 Her brothers and sisters have been successful in reining and performance events. 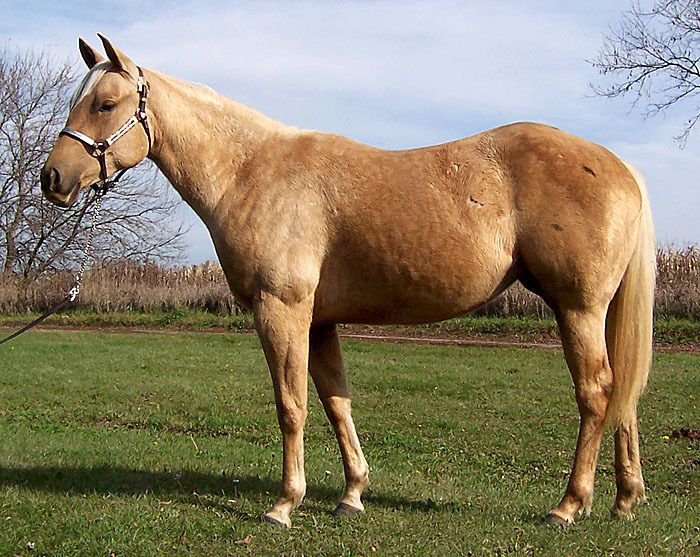 She is very athletic and responsive. 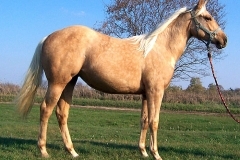 She has a kind disposition and loves attention. 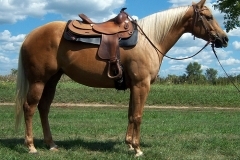 She clips, bathes, and loads. 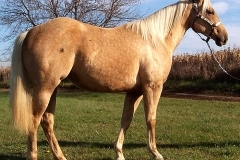 See Julie for details and more information. 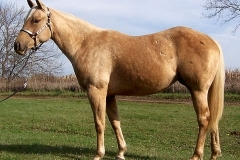 She was bred to My Final Notice, and had a beautiful palomino colt named Its Only Make Believe a.k.a Conway in 2016.